Simply download the free app, choose your photos to use, and enjoy! Apps and iPads can be wonderful tools for children to learn and play with, but sometimes nothing is better than a good old fashioned printed book. Grandma's Gift is a free app that allows you and your grandchild to become the main characters in a story adventure. After you've had fun playing with the interactive app, you can easily order a beautiful printed keepsake book for your grandchild to cherish forever. An app will keep their attention for a little while, but nothing beats the permanent physical presence of this keepsake book that will occupy real space on their bookshelf and in their hearts. You bet. You can choose what your relationship to the child is, or even type you own custom text. So no worries... Grannie, Opa, Auntie, Mommy, and Pops are all covered. The easiest way to understand the heartwarming story is to download the app for free and check it out. The Gift is the gift of reading. With a love for reading, one can learn so many things, solve so many problems, and continually grow and learn forever. 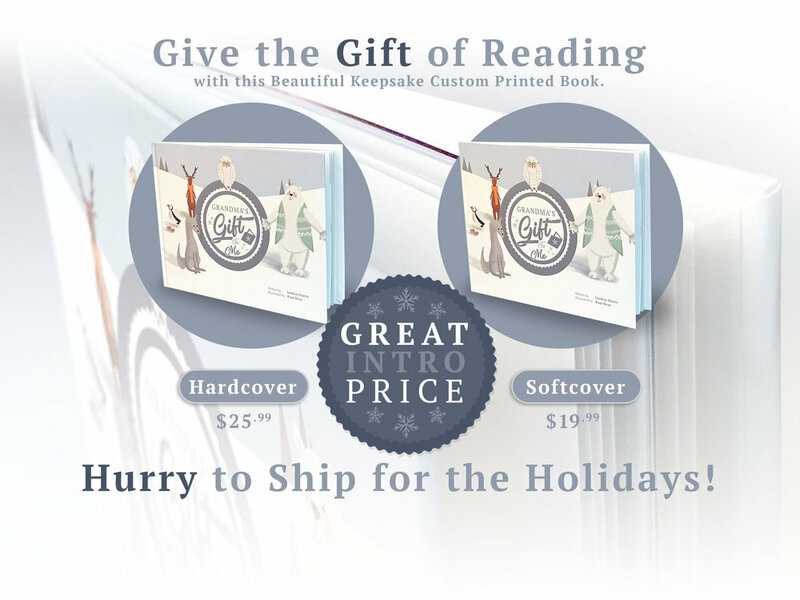 Give the Gift of reading and encourage a child today. Download Grandma's Gift for iPad or iPhone right away.